Enjoy high standards on the Heath, and spend a little quality time in our wonderful accommodation! 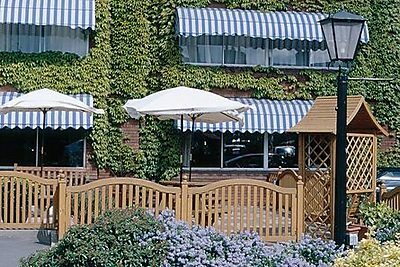 In Newmarket, just minutes away from the town centre, BEST WESTERN Heath Court Hotel gives guests the rare opprtunity to sample top-end service without the high-end price tag. We're 2 miles from the famous racecourse should you fancy a flutter during your stay, while comfortable, well equipped bedrooms at the hotel itself make us a firm favourite with return visitors. The hotel counts the 'Gallops' as a close neighbour, and you'll see thoroughbreds training every day should you join us here in Newmarket! Wider Suffolk is within easy reach too, with Cambridge, Ely and Bury St. Edmunds all easily accessible. Our conference centre makes working away anything but hard work, while five quality meeting rooms can be used for interviews, gatherings or seminars during your break. the main eaterie in the Hotel. traditionally cooked food at its very best, served efficiently and in pleasant surroundings. situated on the ground floor, offers a relaxed atmosphere where you can enjoy a pre-dinner aperitif or a night-cap before retiring. Hot tips can sometimes be heard from members of the racing fraternity who often frequent the hotel, but we accept no responsibility for any failures! For the summer months we have our patio area to enjoy a cool drink in the hot weather or why not experience alfresco Dining. The Best Western Heath Court is set in an enviable location backing onto the renowned Newmarket Gallops where famous racehorses are trained daily, yet far enough away from the busy High Street to make it a peaceful setting. The smooth and efficient organisation of any conference depends on more than just the right facilities. It also depends on the skill and experience of the staff. At the Best Western Heath Court you'll find you can rely on the quality of both. The conference centre offers a choice of five quality meeting rooms, the largest seating 130 delegates.